Kathy Callahan is the mother of 3 beautiful kids, the wife of one handsome fire fighter and the face of her new family business SLO Mama Sweets! 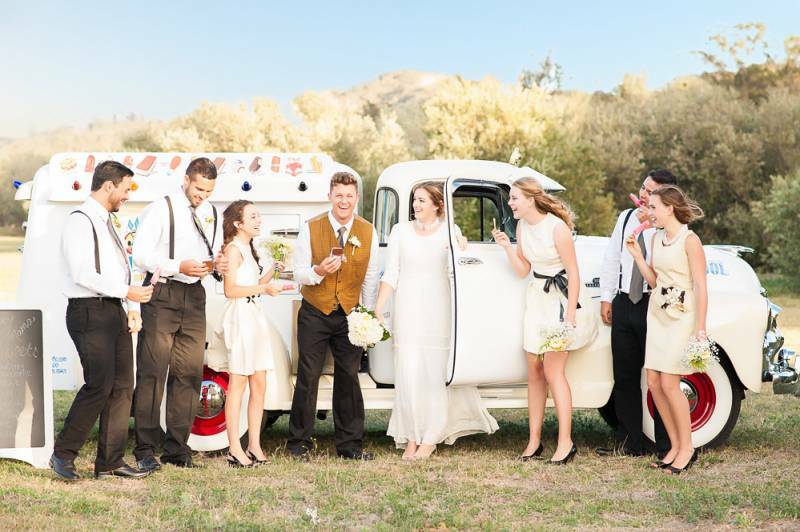 With a decade of cake baking experience Kathy is switching up her take on the wedding desert experience offering ice cream out of the back of their fully restored vintage truck! What's most unique about this business, without spoiling her story too much, is that the firefighter and three kids are all in. You can see them pictured here wearing 50's ice cream parlor uniforms and offering service with a smile. 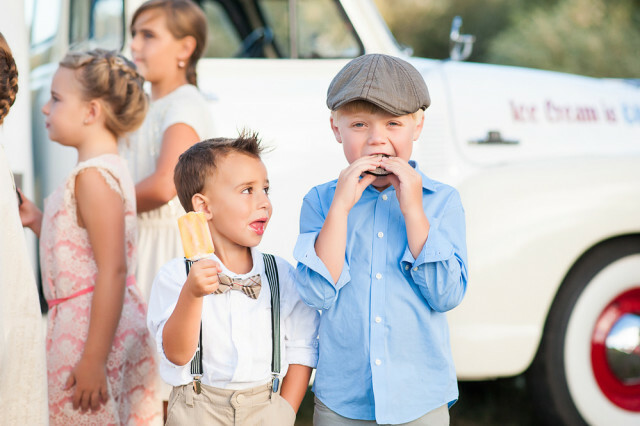 We are so excited to see this ice cream truck stop by the many weddings here on the Central Coast this season bringing old memories and igniting new ones for guests both young and old! Get to know Mama Kathy and her sweet family! 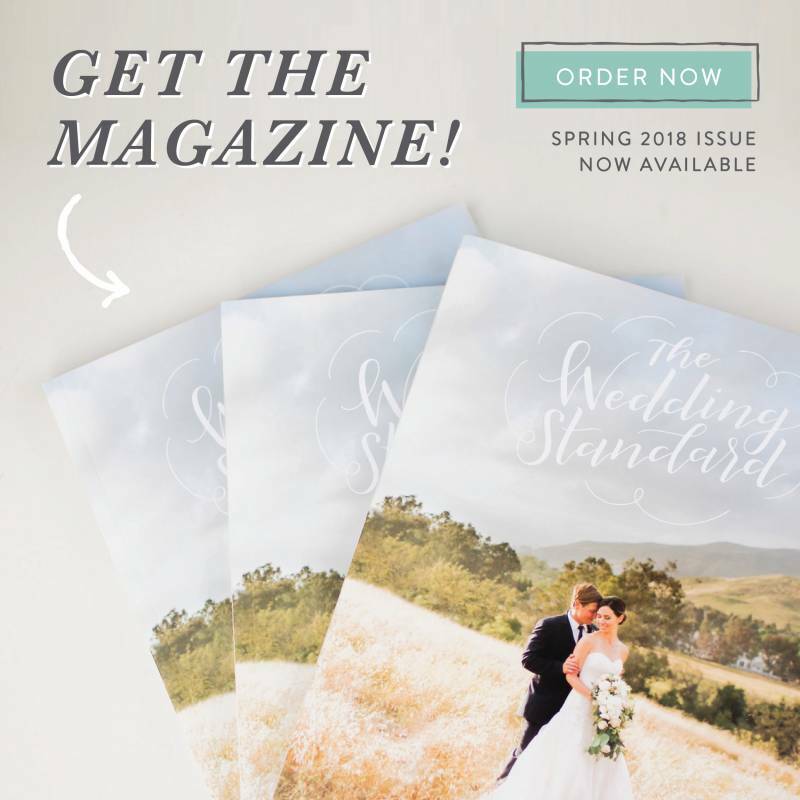 After working in the wedding industry as a baker for the last 10 years, I was overwhelmed by the outpouring of creativity I saw flooding into it and wanted a change. That and the fact that 3 college tuitions loomed in my future got my proverbial wheels turning. It was our desire as parents to incorporate our whole family as a way to teach our children how to run a business as well as give them an opportunity to earn for their futures. Coming up with just the right idea for our faily proved very challenging until the day lightening struck on a trip to Washington D.C. As we were rounding the corner to probably the 7th Smithsonian we were about to visit (not a joke), I spotted an old Good Humor truck parked out in front of the museum on display. In that very instant, I envisioned, our whole family selling ice cream in 1950's uniforms and bringing back a long lost joy from the past. It didn't take long to convince the family that we should make this wild idea a reality. The journey to completion of our unique truck took us 2 years with many ups and downs. However, the embracement of our business has been immediate and more than we could have ever hoped for! 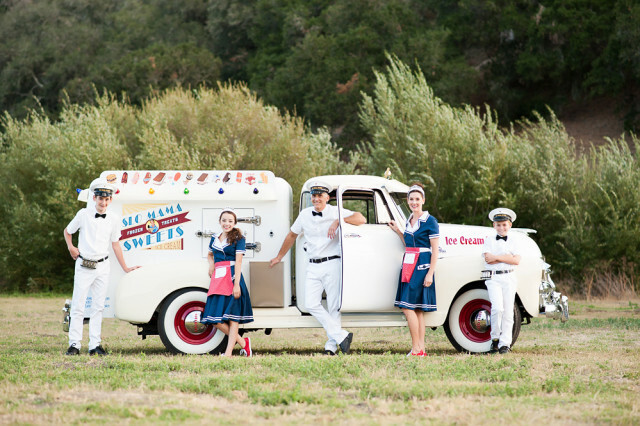 When creating SLO Mama Sweets, our primary goal was not to just sell ice cream, it was to provide each customer with an experience that would transport them to a carefree and joyful time gone by. At every event so far, we have unexpectedly and preciously encountered at least a few customers who are brought to tears of joy as they relive their happy experiences with the ice cream truck in their youth. They walk away feeling as if they have participated in something special and because of that, we have accomplished our goal! 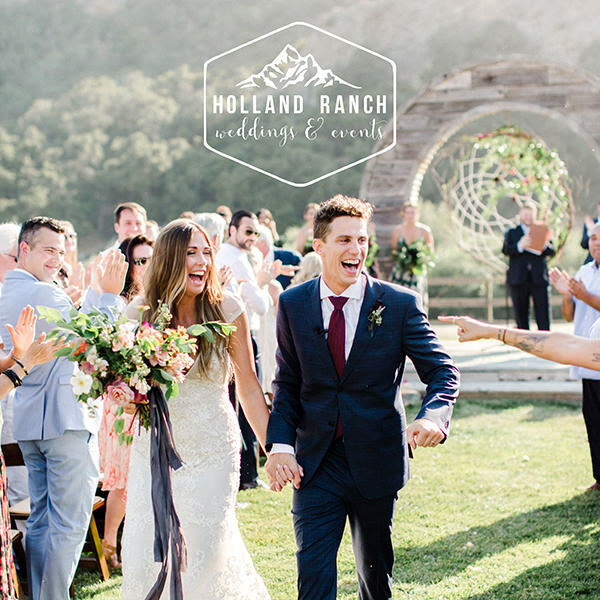 I believe there is always a cherished story behind how the bride and groom met. When I ask this question, it always leads to charming or touching stories that help me create a more personal connection with them. I like to think that SLO Mama Sweets is making "old school" business new again. That is to say, service with a smile, putting the customer first and giving back are just a few of the old fashioned business philosophies that we are bringing to life again along with our 1950's style. It is a lovely honor that we are engaged by so many customers about our truck, our business and how we came to be. I am in awe of how forthcoming and generous people are in sharing their experiences with us and we cannot deny that our business is relational. The connections we make with those we serve are what we value most and we consider it aand we consider it a privilege to impart lasting memories with them. My husband and children continue to inspire me with their unique life perspectives. Their talents, humor and intellect humble and amaze me every day! My ideal couple is one that no matter what the circumstances, budget or outside situations going on in their lives are, their joy and love for one another cannot be contained.
" 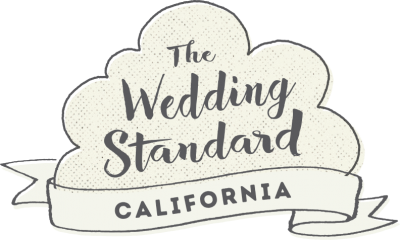 With a decade of cake baking experience Kathy is switching up her take on the wedding desert experience offering ice cream out of the back of their fully restored vintage truck! " My favorite part of a wedding is seeing the look of love in the groom's eyes when he sees his bride coming down the aisle. I focus on the precious moment their eyes meet, then I lose it completely! I begin every morning in gratitude to God for the amazing gift of another day. After that I frantically try to get the kids ready for school, then hit up some exercise; but not before coffee! My greatest accomplishment would be the building of my incredible family against all odds. Being a cancer survivor at a young age made this no easy feat! They are miracles and gifts from the Lord! When you have 3 kids you really don't get a day off per se, but when I get a chance I love hiking, biking, gardening, going to thance I love hiking, biking, gardening, going to the movies and most of all hanging out with Matt and the kids and my two dogs Indi and Dobby. Scooping ice cream at Baskin Robbins! Enough said. Kath, Tom (on account of my maiden name Tomkins), Kats and Jammer, Kat, Kit Kat. Nothing - I own an ice cream truck!! How many kids can say that??? We are so happy to have SLO Mama Sweets serving up alternative San Luis Obispo wedding deserts!